The expanse of the Sahara desert which stretches across Morocco is divided into two main regions; the Erg (dunes) Chebbi and the Erg Chigaga. Both provide the spectacle of rolling, velvet sand dunes for as far as the eye can see, with the mountains of Algeria as a backdrop when looking east. Whether you decide to visit the Chigaga or the Chebbi dunes, you will enjoy beautiful camel treks, serene sunsets treks and stunning star lit nights, but each region had it’s own unique charm. 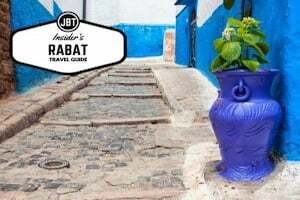 It can also be guaranteed that your journey from the Imperial cities of Fez or Marrakesh will take you through significant changes in landscape before you hit the dunes themselves; over mountains, barren rocky plateaus and lush oasis valleys. The route from Fez to Merzouga will take you over the green and fertile Middle Atlas mountains and alongside the Ziz Valley palmeries, while Marrakesh to Chigaga will take you over the High Atlas and through the Draa Valley palmeries. Do you have a dream to visit the Sahara? Or, maybe you’re one of those people who insists there’s nothing there to see or do. 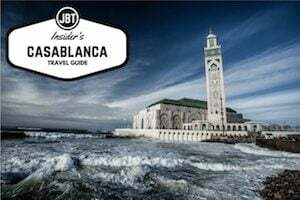 If the Moroccan Sahara is your “must see” list or if you want to stay as far away as possible we’ve put together ten of our favorite images to show you just how amazing and beautiful it truly is. Pack your bags because after this, you’ll want to go for sure. Imagine riding atop a single-humped camel into a seemingly endless sea of rolling sand dunes. The evening sun to the west creates a dramatic contrast of boldly colored golden sands and dune-curved shadows. 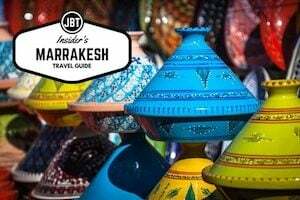 By night, after finishing a fresh tajine dinner by candlelight, you gaze up toward an enormous moon, surrounded by more stars than you’ve ever seen in the night’s sky. Considered one of the toughest ultra marathons on the planet, runners of the Marathon des Sables travel approximately 150 miles through the rugged and arid Sahara Desert. Participants run the equivalent of six regular marathons over the course of six days with each stage ranging anywhere from 21 to 91 kilometers in length. Runners battle sand storms and incapacitating heat. They endure torturous chafing and blisters down to the bone. Not only does this race seriously challenge the body’s physical abilities and will, but the $4,000 entry fee challenges most people’s financial will as well. Surprisingly the race has a 2-year registration waitlist and once registration opens, all available spots are often filled within an hour. Among Morocco’s most iconic destinations, traveling to the Sahara Desert of Morocco is among Morocco’s iconic things to do. Most travelers who visit the Sahara opt for an experience among the Erg Chebbi dunes in eastern Morocco. 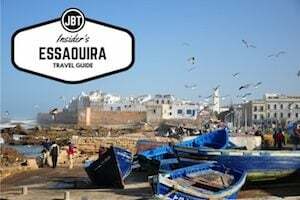 Near Erfoud and Merzouga, travelers tend to start this excursion from Marrakech or Fes. South of the Anti Atlas Mountains is the disputed area of Western Sahara. Occupied by the Spanish until 1974, this mostly barren chunk of land has been claimed by both the Moroccan government and the Algerian-backed Polisario Front. Although the conflict technically ended with a UN-sponsored cease fire in 1991, the legal fate of Western Sahara has yet to be decided. Administratively it’s a de-facto part of Morocco. The road to Laayoune is paved and relatively good. You can travel by local bus, grand taxi (Mercedes) or private transport. CTM buses are air-conditioned and tend to leave on schedule. South of Laayoune, transport options are slimmer. You should be able to share rides with other tourists to Dakhla during kitesurfing season, or you can fly to Dakhla via Royal Air Maroc. The Agafay Desert is located just an hour’s drive from the lively souks and dizzying maze-like market streets of Marrakech. Literally untouched by development, the Agafay offers quite the contrast from the hustle and bustle of Marrakech. Visiting the Agafay Desert is a good option if you would like to gaze at some sand dunes and desert, but don’t have the time to travel all the way south to where Morocco borders the Western Sahara. In the spring, the Agafay is alive with blooming wildflowers. The rest of the year, the Agafay is parched and thirsting for water giving you just a taste of the aridness of the Great Sahara. Let’s say this up front: Riding a camel is one of the most uncomfortable experiences you can imagine. Now that that’s out of the way, I should also tell you that riding a camel is fantastically fun and bound to be one of your favorite memories from your trip to Morocco. Not much can top watching the sun set over the Sahara as you make your way to a Berber tent astride a camel or listening to the waves crash against the rocks in Essaouira as you meander down the beach, swaying atop your steed. You’ll probably hum the theme to Lawrence of Arabia. It will be amazing. Set on the edge of the Sahara Desert in Morocco, Erg Chebbi is one of two ergs (large areas of windblown sand dunes) in Morocco. Most of Morocco’s desert is made up of flat, rockier terrain known as hamada, but Erg Chebbi has sweeping dunes that reach 525 feet in height. Both the 1999 movie The Mummy and 2005’s Sahara were filmed at Erg Chebbi. An Ocean of Sand is one of those clichés used far too often to describe some of the more amazing deserts in the world, but when the desert is as large as the entire United States, does that old cliché suddenly become valid? The Sahara Desert is enormous, stretching from one end of northern Africa to the other, from the Atlantic to the Red Sea. Morocco is one of many nations that carve into the world’s most famous desert, and Morocco offers several of the best Sahara Desert tours in Morocco you can find. Most Sahara Desert tours will take you by the villages of Merzouga and Erfoud via camel. The traditional way of travel through the historical Sahara trade routes is still the same today. If you chose to travel into the desert, you will be trekking known routes by riding camels with experienced guides. You will all travel before or after the sun reaches its midday height and the temperatures climb higher than you have probably ever felt before. Do away with any images of wild horseman brandishing rifles—those days are only around in Hollywood movies. The Bedouin tribes in Morocco are very peaceful and friendly. As you visit around Merzouga and Erfoud, notice the Bedouin tribes that you may pass by or visit with. Many of the Arabs and Berbers in the tribes live in exactly the same way as they have for centuries and still follow the traditions of their culture. Do away with any images of wild horseman brandishing rifles—those days are only around in Hollywood movies. The Bedouin tribes in Morocco are very peaceful and friendly, and have traditions of hospitality. If you fear being treated differently because you are an American, sweep it away! Hospitality in Morocco has been a long tradition, and here’s a piece of trivia for you: Morocco was the first nation to officially recognize the United States as an independent country. The desert is often flat and appearing barren with many small rocks. The conventional image of rolling sand dunes does exist, but further out. Merzouga is the best destination to see actual giant sand dunes. It is here, in the area of a Morocco map, where the most towering walls of sand can be seen in all of Morocco. Here the Sahara exceeds every single hope and expectation. The sheer size of the sand dunes is a very humbling experience for many travelers. A full moon over the desert night is brilliant, as well as sunrises and sunsets, both of which are famous in the Sahara because of their magnificence. Merzouga is best described as an oasis area. This is one of the few areas in the desert where water can be found via wells—making it an obvious choice for a settlement. If you want an “odd” sight, there is a lake further south called Dayet Sriji. While it is very low, and very salty (as most desert lakes are), many individuals are still surprised to see a lake that is in the Sahara, and the abundance of bird life there, including flamingos. 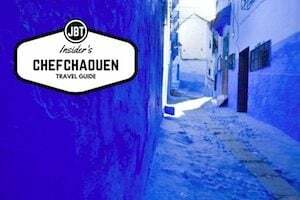 Erfoud may not be the typical tourist destination on a normal tour in Morocco, but that just makes it all the more attractive to those trekkers who like to go off the beaten path. The town of Erfoud inherits its appearance and rise in population from the time of French colonization. The French didn’t believe they could fully defeat the proud and independent Berber people, many of whom make up the remaining Bedouin nomads, but by having a strong military presence in the south, they believed the show of power would be enough to allow a “live and let live” philosophy that would allow them to govern the rest of the colony effectively Erfoud is used to the off-the-beaten path tourist in Morocco: the hikers, trekkers, and explorers. 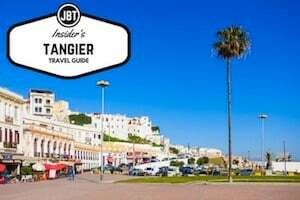 The town works as a good base camp for several popular explorations, from the local Ziz valley, to the Merzouga sand dunes that are a must see in any Morocco tour of the Sahara, to many other local itineraries. Many travelers find the Sahara too beckoning to resist, and why not? There are few areas that can claim to be the biggest or best in the world. From Erfoud the greatest of the Saharan sand dunes in Merzouga are only a stone’s throw away. Located on the Ziz River, it is different than most Moroccan villages. It does not have century-old buildings, but was instead built in the early 1900s by the French as an administrative headquarters. Buildings are made of red sand of the area mixed with lime. The settlement with its high walls and tightly packed houses were constructed as protection from the marauding nomadic tribes. Erfoud has the usual winding streets and alleyways. Near Erfoud are large palm groves that have been used by travelers for respite. Not far away is the desert and sand dunes of Merzouga. Erfoud has a flourishing marble industry. Marble from this area is red, brown and black.